Originally sold in '05 for $150,000. One of the largest lots available in Timber Ridge at .6/acre with privacy galore! 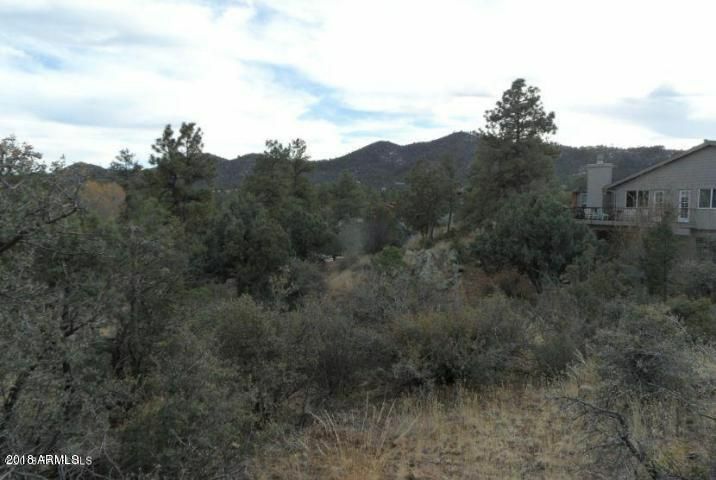 Gently sloped with easy build near center and impressive views of the Bradshaw Mountains. Seasonal creek. Pie shaped lot with building site in back center. Corners marked and lot is flagged. HOA amenities includes indoor and outdoor pools, tennis courts, clubhouse and playground.